Barry and Valerie have been performing together since 1982. With the kind assistance of Nobuco “Cobi” Narita (The Universal Jazz Coalition) and countless others, they went from local libraries, parks, museums, and New York City Public schools to the international stage, where, in 1996, they performed in the Kobine Festival of Traditional Music in Lawra, Ghana, where they were honored as the first non-West Africans to be awarded a first prize. As a duo, they have performed at festivals worldwide including The Percussive Arts Society International Conference (1994, 1996, 1999, 2000, 2001); The New Music Festival (Leon, Mexico); Semana Internacional de Percusiones (Mexcio City); El Primer Festival Internacional de Marimbistas (Chiapas, Mexico); The Bath Festival (Bath,England); and Arts Alive (Johannesburg, South Africa). In July 2005, they were performers and clinicians at the 25th Fairbanks Summer Arts Festival, and have been invited to return in 2006. They co-direct the multi-instrumental/vocal quintet Mandara, which has performed at such venues as the Kaisuka Festival (Japan), Lincoln Center, and The Kennedy Center. Valerie Dee Naranjo is a marimbist, percussionist, vocalist, and composer who is exploring, in her work, the relationships between indigenous music in West Africa and popular music in America. 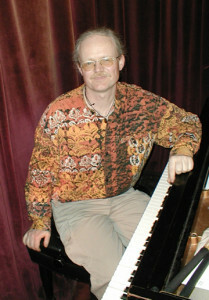 Barry Olsen is a trombonist, pianist, percussionist and composer who is extensively involved in exploring, performing and recording the music of Africa and the Americas, especially Latin Jazz and Latin dance music. Mandara is a quintet of multi-instrumentalists/vocalists that performs music of West and southern Africa and the diaspora, and original works on instruments from many countries. Mandara Music Publications provides printed materials for the pedagogy and performance on the African Gyil. Recordings highlight Valerie’s CDs, as well as the work of Ghanian gyil masters Kakraba Lobi and Bernard Woma in collaboration with Valerie and Barry. The Gyil is an ancient marimba that requires great mastery to play. It is the national instrument of the Dagara and Lobi nations of Ghana, Burkina Faso, and Côte d’Ivoire. 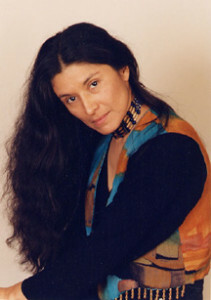 Writings feature extensive written works about Mandara and about Valerie and her work, and articles by Valerie about the gyil and other percussion instruments, and her explorations of African and Native American music.